SUNY Geneseo graduate and internationally acclaimed musical artist Ysaÿe Barnwell will share her talents and her story with the Buffalo State community this week. She also will deliver workshops for students at the Buffalo Academy for Visual and Performing Arts over two days and a conversation about her life on November 28 at 7:00 p.m. at the African American Cultural Center, 250 Masten Ave., said Carlos Jones, associate dean of the School of Arts and Humanities, who arranged her visit. Barnwell’s visit will culminate with a community sing on November 29 at 7:00 p.m. in the Jacqueline Vito LoRusso Alumni and Visitor Center. It is free and open to the public. Barnwell rose to fame after joining Sweet Honey in the Rock in 1979. She both sang and served as the group’s sign language interpreter. Her musical life followed a career as a professor at the College of Dentistry at Howard University and as a health program administrator at Children’s Hospital National Medical Center at Gallaudet University in Washington, D.C. She earned her bachelor and master of science degrees in speech pathology from SUNY Geneseo before earning her doctorate from the University of Pittsburgh. She’s also worked off-stage as a master teacher and choral clinician in African American cultural performance. 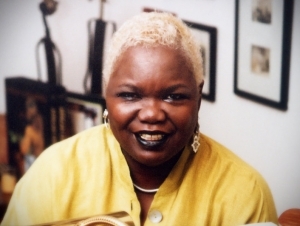 She’s conducted her workshop, “Building a Vocal Community: Singing in the African American tradition” for the past 28 years over three continents. For more information, contact Jones at (716) 878-6327.